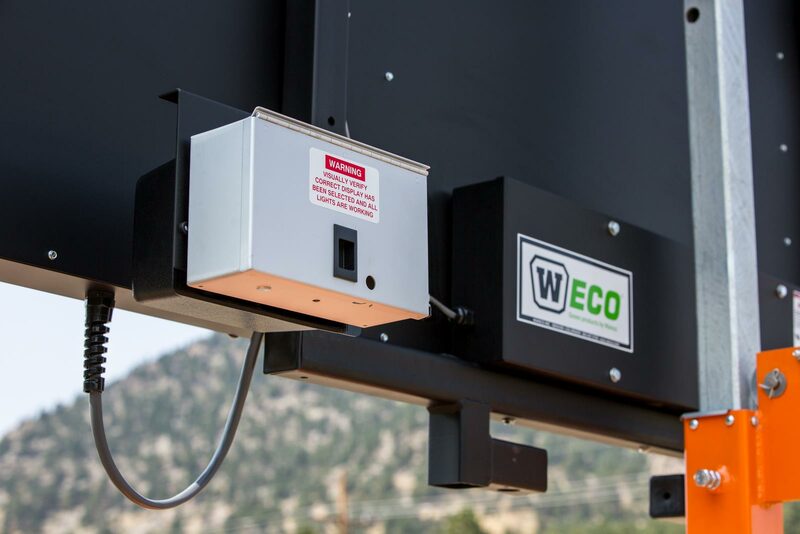 W|ECO Vertical Mast Arrow Boards - Wanco Inc.
W|ECO Vertical-Mast Arrow Boards feature a display panel that remains vertical at all times and rotates to face traffic. 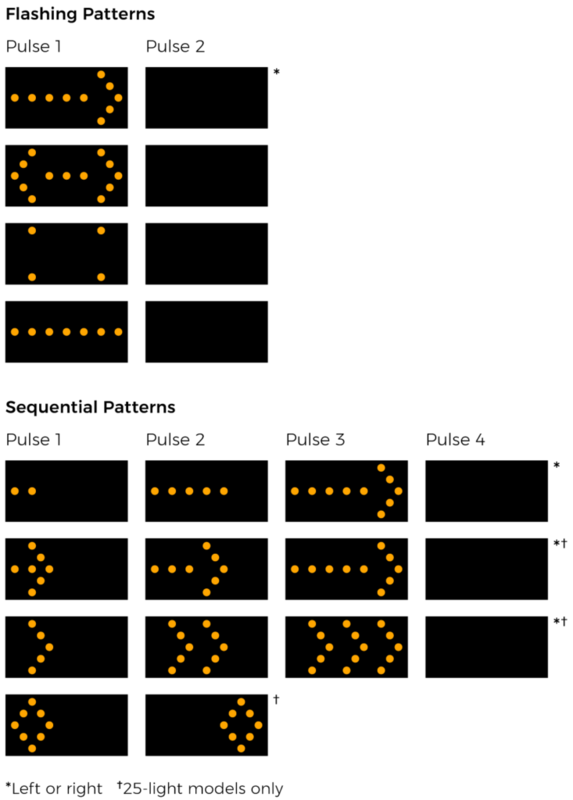 They are highly reliable, visible from distances of a mile or more, and employ a unique high-efficiency power system. The display is raised and lowered on a vertical tower using a hand-operated winch. Both 15-light and 25-light models are available. 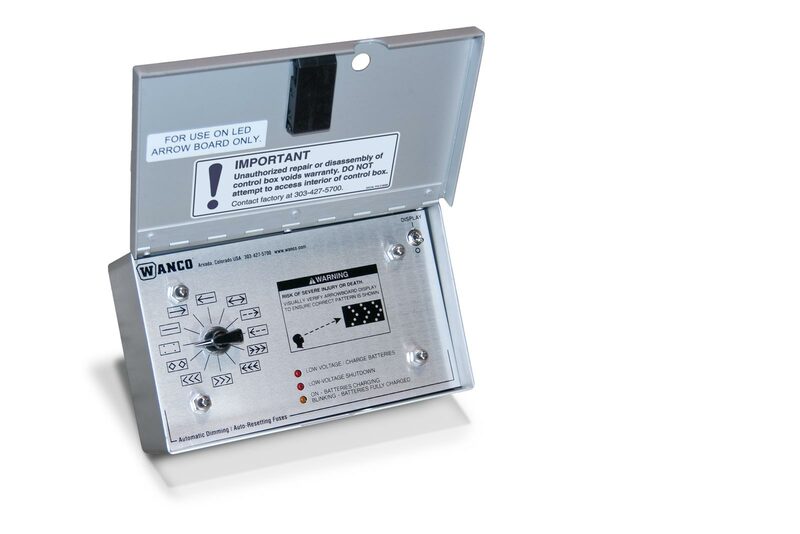 Connected arrow boards can be accessed remotely using Wanco Fleet Manager. 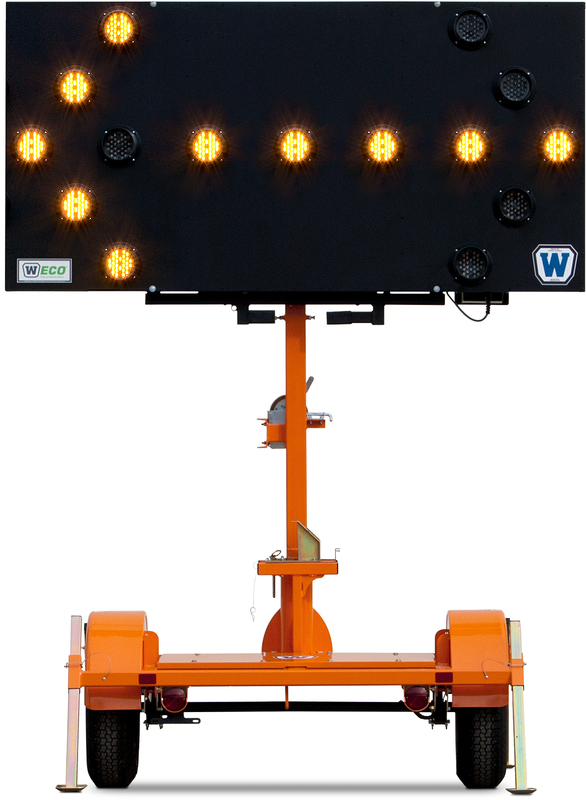 The vertical arrow board display is attached to a vertical tower that allows the display to be rotated for orienting toward traffic without moving the trailer. 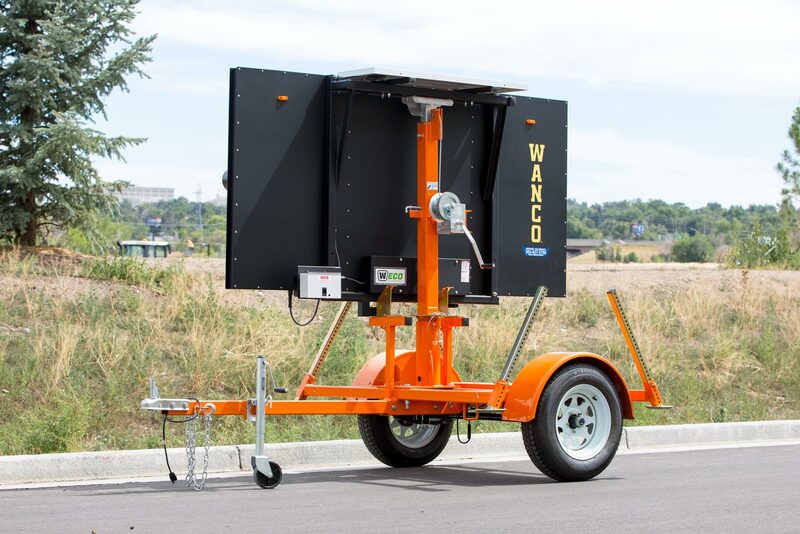 For simple deployment, a heavy-duty winch with safety brake allows one person to raise the arrow board. 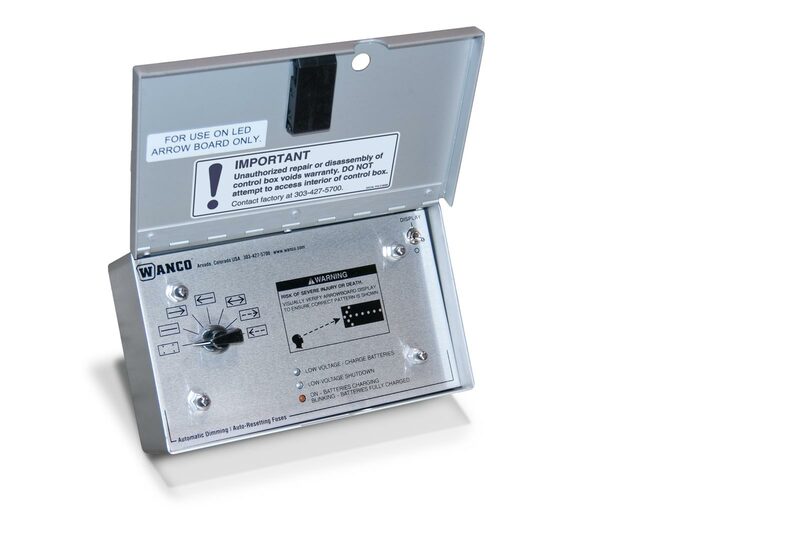 When the tower is lowered for transport or storage, the display panel rests in a cradle that keeps it secure. 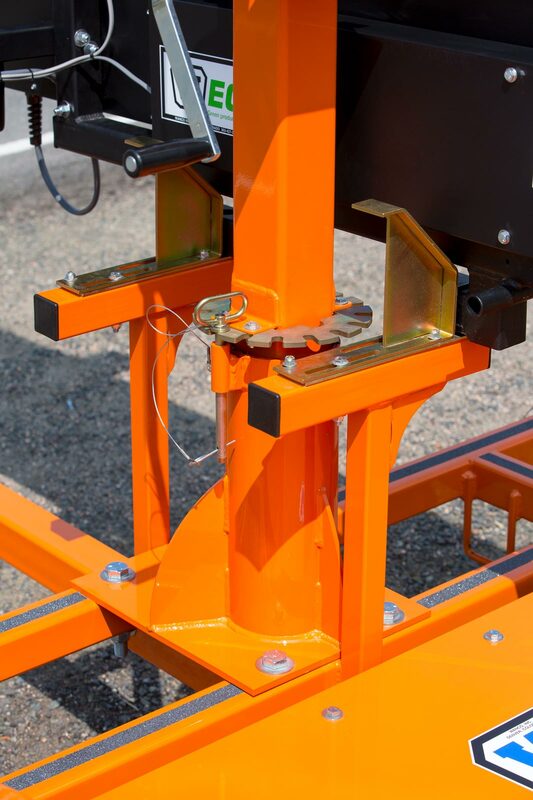 Constructed of rigid, tubular steel, all joints are welded. 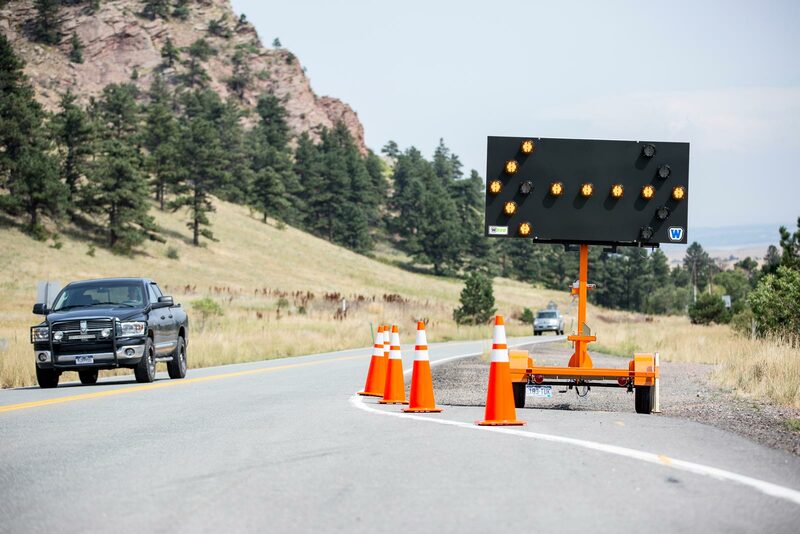 Bolt-on fenders can be replaced if damaged.